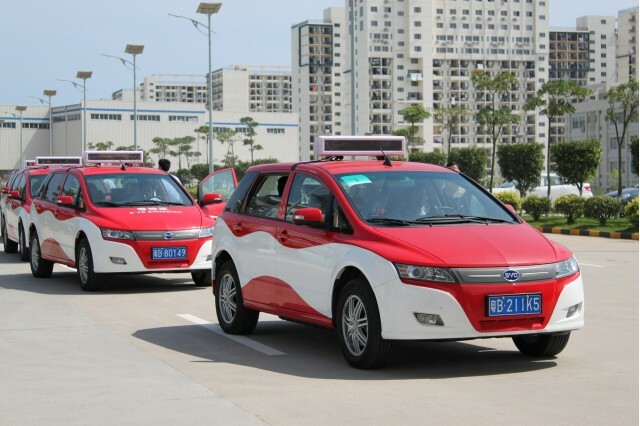 Juxtaposed against a growing electric-vehicle market in China and increasingly stringent global carbon-emission limits, a survey by KPMG has revealed a majority of global auto executives believe electric vehicles are a fool's errand. Those executives believe electric cars will eventually be leapfrogged by fuel-cell vehicles, due to the infrastructure challenges of both lower-rate public charging and DC fast-charging for long-distance travel. The report, based on data collected from 953 senior executives, paints an interesting picture of future automotive trends as predicted by the world's automaking C-suites. The main takeaway remains that 62 percent of decision-makers at automakers and their suppliers have a dim view of electric cars. But the KPMG report is filled with contradictory data points. Muddying the waters further, 76 percent of automotive executives believe internal-combustion engines will continue as the dominant global drivetrain for many years to come. 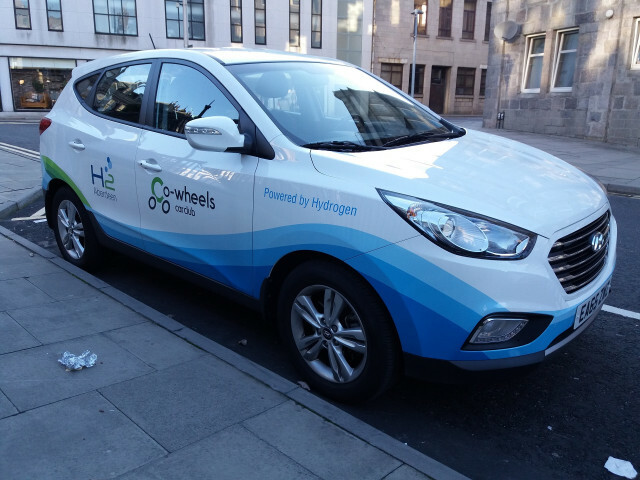 But as we move toward a lower- and zero-emission future, 78 percent of respondents think the breakthrough technology of the future for road vehicles will be hydrogen fuel cells. 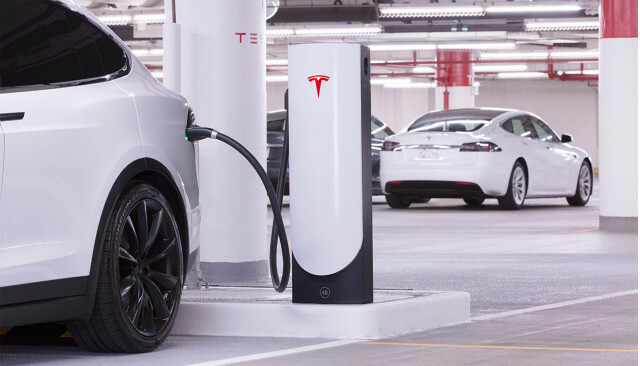 "The faith in FCEVs can be explained," the report explains, "by the hope that FCEVs will solve the recharging and infrastructure issue BEVs face today." The report also used survey data collected from consumers to summarize their thoughts on future trends. Actual car shoppers were asked which drivetrain technology they'd consider for their next car. The option that received the most respondents was conventional hybrid-electric vehicles, coming in at 36 percent, followed by internal-combustion vehicles at 21 percent. Plug-in hybrids are likely not on too many shoppers' radar, even seven years after the debut of the Chevrolet Volt. That's largely because automakers have not been able to explain concisely and intuitively why both an engine and a short-range battery make sense. 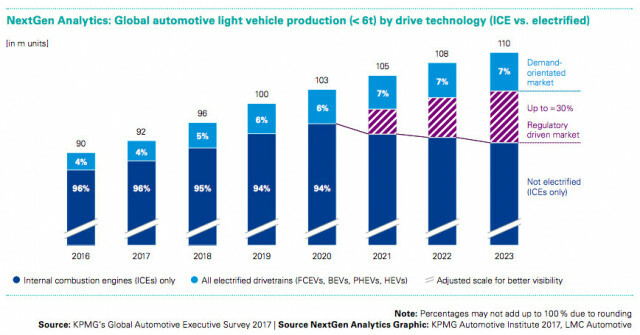 On the part of companies that make cars, however, "Over the next 5 years, 53 percent of executives are planning to highly invest in plug-in hybrids and 52 percent in ICEs and full hybrids," the report says. Those companies that do business in China, of course, will have to comply with that country's zero-emission vehicle sales rules, which come into effect next year. China is also planning to ban the sale of new vehicles with engines entirely in some future year yet to be determined. KPMG has made available a PDF version of the report for those of you who like to print things off to read them. However, it also has an interactive version of the report you can view online that lets you drill down into the data.